The following are resources you may find helpful when integrating Humane Education into your classroom and curriculum. Please Note: HEART does not sell or profit from the sale of the following resources. We offer this list as a service to educators looking for resources to enhance their instruction. Click on the underlined link for information on where you can purchase each item. Is a Classroom Pet for You? – The pros and cons of keeping a classroom pet in the K-6 classroom from The Humane Society of the United States. E/M/H Dissection Alternatives – an extensive list from the National Anti-Vivisection Society. At the bottom of the page are pdf files of student handbooks regarding objecting to dissection. M Ethical Science & Education Coalition – Includes a free Dissection Alternatives Loan program, Kid’s Corner, resources for teachers, legislation information, and information about science and medical careers. M/H Dissection Alternatives – From the Physician’s Committee for Responsible Medicine with links to many resources. M/H HSUS: Dissection and Related Issues – This is a site you will want to check out. The Humane Society of the United States has up-to-date alternatives to classroom animal dissection and live animal experimentation available for free loan in their Humane Education Loan Program (HELP). Materials are rated middle school, high school or college level. Also available from HSUS are Problems with Dissection, Frequently Asked Questions about Dissection, and State Laws about Dissection for high school or middle school students that includes ideas for humane science fair projects. There are a lot of other really useful resources at this site. The Use of Animals in Higher Education: Problems, Alternatives and Recommendations – Download the PDF version of this book by Jonathan Balcombe, Ph. D., Associate Director for Education, Animal Research Issues, HSUS. Covers high school issues as much as university issues and some elementary issues. Vivisection and Dissection in the Classroom: A Guide to Conscientious Objection – by Gary Francione. Offers practical and theoretical assistance on the issue of students’ rights at every educational level. E/M/H Animalearn – At this site, you can download dissection replacement lesson plans for free for every grade level range. Animalearn also provides teachers and students with viable alternatives to dissection and vivisection in the classroom, through their alternatives to dissection lending library, The Science Bank: Education for the Future. 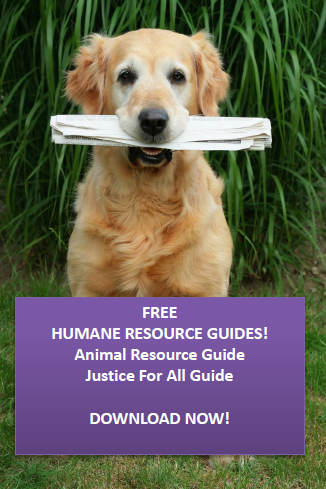 In addition, Animalearn provides humane education books and materials, and provides a whole host of resources for the humane educator, including research about the use of alternatives, budget help and more. E/M/H Animalearn – Click on the age range you teach, then click on online resources for a wealth of online dissection replacements. E/M/H Student Choice Toolkit – Guidelines for Objecting to Dissection and other resources to help students gain permission to use alternatives to dissection. E/M/H Dissection Alternatives Loan Program provides students, educators–even entire school–with effective state-of-the-art alternative models and computer programs to substitute for the use of once-live animals in classroom dissection exercises. E/M/H Dissection in the Classroom – Great resources here, including a hotline for help, an “objecting to dissection” handbook (for three age groups), a list of student choice states and a good discussion of dissection. Organizations Providing Information on Alternatives Teaching Resources – Primarily offline resources, listed by the UC Davis Veterinary Medicine. Passing a Student Choice Law/Policy – from NAVS. Science Fairs – A discussion, facts, and action suggestions. P/E/M Animalessons – “Each issue of AnimaLessons contains fact sheets and descriptions about the lessons, fun activity sheets for each grade group (K-2, 3-5, 3-8), and information about resources for educators.” Examples include: Overpopulation, Animal Shelters and Backyard Wildlife. E/M Enchanted Learning: Animal Printouts – provides excellent information and printouts for elementary students on hundreds of animals. Label and “quiz” printouts also available. Try using the “quiz” printout as an Internet activity by having students read throughout the site to find the answers. Students can even color a variety of animal pictures online. E/M/H Service learning suggestions – from the ASPCA. Pet care and exotics as pets – from the ASPCA. To share with parents. E/M/H Learning to Give – A resource for educators, youth workers and parents, to teach young people about animal welfare and how they CAN make a difference in animals’ lives. Includes units like Keeping Our Pets Safe in an Emergency, Humane Heroes: Those Who Care Enough, and Advocacy-Getting the Job Done. P/E/M ASPCA lesson plans and activity sheets on pets. P/E/M An Introduction to Service Learning. P/E BCSPCA lesson plans on animal empathy, responsible pet care, bite prevention, and more. P/E/M Best Friends lesson plans on responsible pet care – from Best Friends Animal Society. This fun 4-page handout shows kids how they can get involved in helping animals in their neighborhoods, from animal-assisted therapy projects to speaking out against dissection. E Pet Overpopulation Scroll – an art activity that teaches students about the importance of spaying/neutering. P/E/M/H Lesson plans from MSPCA/AHES. 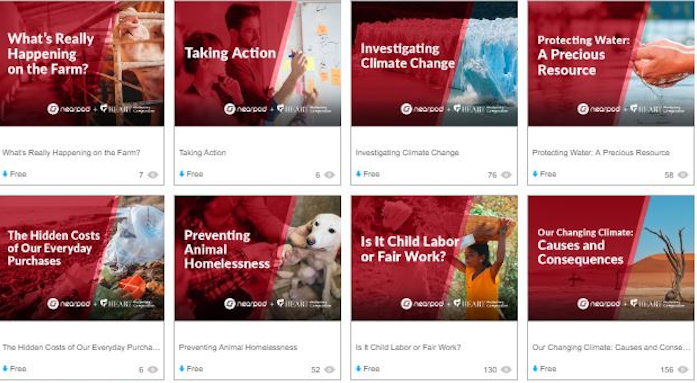 These prepared lesson plans address a variety of humane themes for elementary, middle school, and high school students. Lessons are aligned to the Massachusetts Department of Education’s curriculum frameworks, and are designed to be taught by classroom teachers. These lessons include materials on topics like “Living with Wildlife”, “Pet Care” and “Dog Bite Prevention”. E The United Federation of Teachers’ Humane Education Resource Guide, developed in collaboration with the ASPCA, HEART, the NYS Bar Association and UFT’s Humane Education Committee is available online here. E What Is an Animal Shelter? – This educational video created by HEART is perfect for kids (grades 1 – 3) to teach them about animal shelters, homeless dogs and cats, and what they can do to help. HEART understands that many schools block youtube. If you would like to download this video in high resolution, right click on the following link and (depending on your browser) select ‘save as’ or ‘download’: Animal Shelter video. E/M/H What Is a Puppy Mill? – In this educational video experts from the ASPCA’s puppy mill campaign discuss puppy mills, pet store puppies and why adopting from shelters is so important. If you would like to download this video in high resolution, right click on the following link and (depending on your browser) select ‘save as’ or ‘download’: Puppy Mill video. M/H Pollution Locator: Animal Waste – Let your students compare your state to others. H Tools for Change from Youth for Environmental Sanity (Yes!) has books and videos to order, covers eating choices and more. Includes Diet for a New America, by John Robbins, which documents how the average American diet is a recipe for personal and environmental disaster. A journey into the great American food machine, examining scientific and medical evidence for a more healthful diet. Robbins, heir to the Baskin-Robbins ice cream business, turned away from the family-owned enterprise in an effort to regain his own health. P/E United Poultry Concerns – has a nice assortment of children’s books, many about chickens and their interactions with people. Includes two books for teachers on alternatives to chick hatching in the classroom. P/E/M/H Choice (Consumers for Healthy Options in Children’s Education) – Healthy eating is humane eating! There are lesson plans for grades K-2, 3-8, and 9-12. E/M Cluck! The Life of an Egg-Laying Chicken – “an educational unit to introduce youth to farming practices, encourage students to think critically about where their food comes from, and teach young people respect for animals,” grades 4-6. P/E Hatching Good Lessons – from United Poultry Concerns (UPC). Alternatives to school hatching projects where “chicks can suffer malnutrition, starvation and dehydration in the classroom that is not even noticed.” Contains activities, resources, and worksheets. M/H Meatrix – Animated flash films about factory farming. E/M My Friends at the Farm – Narrated by Casey Affleck, this video addresses farm animal welfare in an age appropriate way for children by having children themselves express their feelings about farm animals. Why and how educators should develop students’ empathy and humanity – from American Humane, for teachers at all levels. E/M/H Learning to Give – 1,400 K-12 lessons that teach about giving time, talent and treasure for the common good. P/E/M A calendar for teachers (navigate to correct month) that shows animal related events. Above All, Be Kind by Zoe Weil – Teaches parents how to raise their children to be humane in the broadest sense–to become not only more compassionate in their interactions with family and friends, but to grow up to make life choices that demonstrate respect for the environment, other species, and all people. Animal People – “News for People Who Care About Animals,” will send a complimentary subscription to any library (school or public) if the librarian requests it, and will also send free samples upon request to the public, including students or teachers. Requests can be sent to anmlpepl@whidbey.com. Include a mailing address. Though written for adults, students will find it of interest also. P/E/M/H AnimalINK Books and More Store – Has a kids section as well as adult books. They also have e-books for sale…read them online! E/M Animals, Eh? You can download the various issues of this magazine from Canada, all about animals. 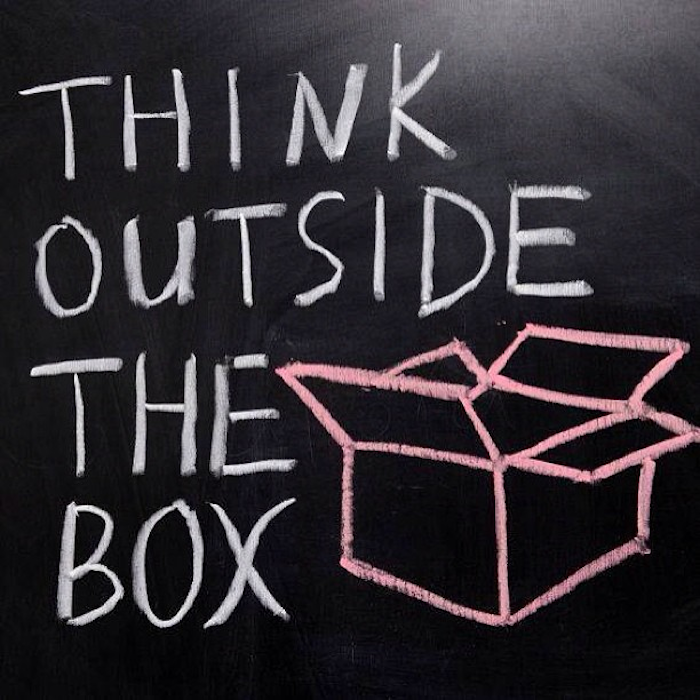 Teaching suggestions are also available at this site. Grades 3-7. P/E The Benefactory – Collection of true stories about real living animals featuring picture books, read-along audiocassettes, videocassettes and lifelike plush toys for students ages 6-10. There is a strong emphasis on reading throughout the programs and products. The true stories about animals are compelling and attract children to read them because children can relate to the subject matter with both their hearts and minds. The true stories fit well into science and nature curricula. When your school has a week focused on pet care, the stories about dogs and cats should fit right in. They also have a growing collection of stories featuring handicapped pets and the value and love those pets have created despite their handicaps (Caesar: On Deaf Ears ; Norman to the Rescue). The stories about endangered species, and the natural adaptability and resourcefulness of species, will also delight and inform children. P/E/M/H Book award lists – Henry Bergh award was established to honor books that promote the humane ethic of compassion and respect for all living things. See the winners from 2000 to 2008. EarthKind-A Teacher’s Handbook on Humane Education by David Selby – Offers extensive range of activities for primary and secondary classrooms. Presents ideas for teacher education and information on further resources and humane education organizations. P/E/M KIND News – Monthly newspaper for children in grades K-6 that encourages good character with an emphasis on kindness to animals, respect for natural habitats, good citizenship, and peaceful conflict resolution. P/E/M Operation Outreach U.S.A. – Contact this organization to see what you can do to help get local sponsorship for this program at your school. Each child gets two humane books, and teachers get great lessons plans to go with the books. The Power and Promise of Humane Education by Zoe Weil – Offers teachers clear suggestions for implementing humane education in both classrooms and non-traditional educational settings. Inviting and easy to use, it describes the four elements of humane education, along with stories, examples, case studies, activities and resources. Spinning Tales Weaving Hope: Stories, Storytelling and Activities for Peace, Justice and the Environment. Edited by Ed Brody, Jay Goldspinner, Katie Green, Rona Leventhal and John Porcino. Foreword by Holly Near. P/E/M Storytellers Ink – All books are listed by recommended grade level. (To go to the lists, click on a specific grade at the bottom of the page.) The books have been evaluated carefully and contain excellent humane and environmental messages. These are the same books which are used in Operation Outreach-USA. P/E/M/H Iearn is the world’s largest non-profit global network, offering collaborative projects, on a wide variety of topics, including animals, human rights issues and environmental issues. There is an annual charge. E/M Movie in the Making – In this project, students will report on a book (make it a humane one!) by describing how they would turn that book into a motion picture. After reading and studying the main components of their novel (character, plot, conflict, climax and denouement), students will use their imaginations to explain how they would cast and direct the movie versions. This project also provides enrichment activities wherein the students will access archived materials such as the Academy Awards Data Base, movie posters, and movie reviews. Teaching for the 21st Century: Bringing Humane Education into the Classroom – These popular workshops for activists, and for educators at shelters and schools, are “designed to enhance your ability to teach humane issues, especially at the secondary school level” and are offered by the International Institute for Humane Education. E/M/H Annual Great Backyard Bird Count (February) – Site has everything students need to participate, including how to identify the birds they see. E Bats Incredible! – (Ordering info from the AIMS Education Foundation, not available online) uses the bat as the focus for an exploration of the concepts of adaptation, interaction, and diversity for grades 2-4. This conceptual unit provides a natural integration of life (bats), earth (caves), and physical (aerodynamics and sound) science. Bats are of extraordinary ecological importance; yet, these incredible mammals are in jeopardy because of unjustified human fear and ignorance. The authors of this book hope that it will increase the awareness of the importance and contributions of bats, and, as a result, encourage their protection. M/H Classroom in the wild – contains classroom activities on endangered animals, a series of short readings and questions. E/M/H Creating bird and wildlife friendly backyards – The National Wildlife Federation lists simple ways you can make your backyard a great place for wildlife. M/H Endangered Species – Lots of great suggestions here! Teach about threatened, endangered, and extinct species; rainforests; islands; and biodiversity. Check out the rest of the site too for great facts, TV updates and more. P/E/M/H Jane Goodall’s Roots and Shoots – has contests, suggested activities, and reports on student activities. Emphasis on elementary and middle school grades. E/M Kids Planet – an excellent site for elementary and middle school students from Defenders of Wildlife. The Teacher’s Table contains a comprehensive Sea Otter Unit and Wolf Curriculum. Also has fact sheets on over 60 animals and great learning activities and games for students. E/M The Rainforest Connection – a wonderful site where students joined scientists on their journey through one of the world’s rainforests…plus more! Even if there isn’t a trip for the current year, there is much to do with the past entries. Be sure to check out the teacher tips on how to use the Rainforest Connection. P/E/M/H Schoolyard Habitats – a project of the Backyard Wildlife Habitat Program from the National Wildlife Federation. (NWF supports sport hunting, but this project does not reflect that.) Some free materials on this website, more to order. E/M Tropical Biology in Costa Rica – a join in journey with Assistant Professor of Biology Dr. Rebecca Kapley and a group of college students as they embarked on an educational journey deep into the heart of Tropical Rainforests. Still good for exploring after the fact. M/H A World On Thin Ice (RiverDeep Current – July 2, 2002) – We hear much about it these days, but just how serious is the Greenhouse Effect and global warming? How will it affect the Earth, and our lives? Take the polar bear. This news story for students points out the alarming and potentially life-threatening dangers occurring with the polar bear on the Arctic ice caps. With their habitat lethally threatened, scientists and researchers are starting to see polar bear populations already dwindling. Your students will find much for discussion, as well as math exercises with graphs, data, and percentages. E/M/H One More Generation (OMG) is a dynamic youth-led group offering various educational outreach programs designed to help address a variety of issues ranging from animal conservation initiatives to environmental programs. Living wth Urban Wildlife – Specific information on common wildlife species from Compassionate Action Institute. Saving Life on the Roads – Specific information on common wildlife/domestic species from Compassionate Action Institute. E/M Ask Jake, the SeaDog – From Whale Times. Kids can submit questions about ocean animals. M Bird Sleuth – a research and interdisciplinary education curriculum designed for students in grades 5-8 by the Cornell Laboratory of Ornithology, with funding from the National Science Foundation. Students learn how science and scientists work, and in the process become scientists themselves. The students fully participate in an annual feeder-bird survey conducted by ornithologists at the Lab. The cost to participate is $99 per year. E/M The Elephants of Cameroon—Saving Africa’s Vanishing Giants – Great site (now part of Field Trip Earth), rich with activities for the classroom. In some schools, the PA system is used to announce positions, so that everyone can track the elephants, even if there is only one Internet connected computer in the school. Humane emphasis is built in. P/E/M/H Endangered Animals of the World – This is an ongoing worldwide collaborative project, written by kids for kids. Mostly elementary, but primary through high school participate. M Great Apes – from Discovery School. How smart are they? P/E/M/H The Monarch Watch – The Monarch population of the eastern United States and Canada over winters at eleven small and vulnerable roosting sites in the Transvolcanic mountains west of Mexico City. These sites are threatened by deforestation, pollution, and a growing human population. Here’s a chance for kids to help with humane research. While at first glance it looks like it is only for elementary kids, look under Research Projects for high school level activities. P/E/M ASPCA lesson plans and activity sheets – Lesson plans and activity suggestions on creating a wildlife habitat that benefits the animals, the environment, and the school community. E/M/H The Elephant Sanctuary – has extensive lesson plans in a pdf format (free), for early grades (39 pages) and also for grades 4-8 (76 pages). The early grade lessons are mostly appreciation-type handouts. In the grades 4-8 lessons, one of the activities is building a “paper pachyderm,” based on the dimensions of Tarra, one of the elephants that the students can see on streaming video. Also included: human population graphing to see the pressure placed on elephant habitat, taxonomy lessons to show how much we all have in common, square footage needs and more. Your kids will love these lessons (“What if an Elephant Followed You Home”, for example) and learn some great humane lessons. Areas of study, such as social studies, literature, math, and science, have been integrated into the units. Though not directly addressed, this site can help students realize the dark side of having elephants in the circus or zoos. With your input, students can also discover, from the video narrations (click on “Meet Our Elephants”) some about the emotional capacity of elephants. Students can help by feeding an elephant at the sanctuary for a day by sending in $30. M/H The Life of Birds – These are lesson plans to go with the PBS series by the same name and include national science standards. The lessons are designed for students in grades 6-12 and “allow students to create a feeding frenzy, conduct field studies, and explore the aerodynamics of wing design.” Unfortunately, one of the suggested activities is a wing dissection, but there are so many great resources beyond that, you can easily use these lessons without offering the dissection. Besides the lesson plans, be sure not to miss the great section on bird brains, dealing with the remarkable intelligence of birds. One question raised: “In its ability to adapt and exploit an enormous range of resources and habitats, is the crow closer to humans than any other creature?” Also listen to the very unique bird songs! E/M/H Next of Kin – a “compassionate interdisciplinary science curriculum” developed by New England Anti-vivisection Society and Friends of Washoe/Chimpanzee and Human Communication Institute. For ordering, not available online. There is a comprehensive course guide and notebook with more than 25 lessons and a companion CD-ROM, for grades 2-5, 6-9, with 10-12 in development. M Wolves at Our Door – from Discovery School. How are wolves and humans alike? M/H Atlantic Sea Turtles – Part of Field Trip Earth. The activities of various researchers are featured. M/H The Albatross Project – Students join scientists as they track ocean-going albatrosses. Downloadable lesson plans. Not a heavy humane emphasis, but lots of animal appreciation. M/H Appalachian Black Bears – Part of Field Trip Earth. Students can follow along on this long standing research project to help the bears and participate in online discussion groups. E/M The Canadian Peregrine Foundation – Follow the endangered peregrine falcons as they travel on their annual migration routes across North America. Or take a look at what is happening on the cams! You can “adopt” a peregrine. No lesson plans provided. E/M/H The Elephant Sanctuary – offers rich teleconferencing visits to the sanctuary. This is an electronic “field trip” to the Elephant Sanctuary! Images and sound are transported live, allowing students to view an elephant’s daily life without causing any intrusion. Using two-way video-conferencing, students can direct questions to the Sanctuary staff. The presentation provides a very powerful humane education lesson about captive elephants and circuses. $100 program fee, plus use of your district’s teleconferencing center. E/M Field Trip Earth – “Field Trip Earth focuses on field-based wildlife conservation research projects ongoing around the world. Some of the projects are “live,” meaning that research activities, and one or more research scientists, are currently active in the field.” Others are archived. E/M Journey North: A Global Study of Wildlife Migration – This is an Annenberg/CPB Math and Science Project and is very popular with teachers. Thousands of schools participate. Engages students in tracking the migration patterns of monarch butterflies, bald eagles, robins, hummingbirds, whooping cranes and more. Students share their field observations with students across North America. According to the site: “Find standards-based lesson plans, activities and information to help students make local observations and fit them into a global context.” There is a cost for the optional teacher’s manual and supplement, but those are not needed for participation. Optional activities in the past have included providing a wildlife habitat in your area. E/M Raptors in the City – “For kids who love animals.” Kids can watch peregrine falcons live (late Feb. or March to June/July) at this site. The website and newsletter are free. Great curriculum materials (hard copy or CD) are $50. Ages 7-11. M/H Red Wolves of Alligator River – This is part of Field Trip Earth. M/H Seaturtle.org Satellite Tracking Program – Lots of teaching suggestions included. E/M/H Shadow a Swan – Your class can “Shadow A Swan” on its migration from Alaska to California using satellite collar tags to follow the Tundra Swans as they migrate. If you participate in this real time data project (free) your students will also have the chance to communicate with experts who are involved in the project. There are several related lessons plans, grades 4-12. E/M/H WhaleNet – Access to live satellite data on whales in the ocean. Wealth of curriculum materials and ask-a-scientist pages are included. M/H The Witness – by Tribe of Heart is a video causing great excitement, with its power to reach many different audiences. Special emphasis on fur-bearing animals. Lesson plans are online and free. Also see how students are sharing it with other students and student comments. This sensitive, transforming video can be shown to older middle, secondary and college students, as well as adults. E Animals of the Rainforest – a webquest by Maureen Mooney designed for 3rd graders. Students are asked to research and develop a written report, visual project, and be prepared for an oral presentation about an animal that lives in the rainforest. M/H Conflict Yellowstone Wolf – webquest by Keith Nuthall of the Poway Unified School District has students analyze the Rocky Mountain Gray Wolf problem and draw conclusions about keeping the wolves in Yellowstone Park. Students are encouraged to form their own opinion about wolves and shares multiple viewpoints on the subject. E An Insect’s Perspective – a webquest by Ginger Tyson for second grade. Students take on the role of an insect, explaining why they should not be exterminated.